Most commercial hot chocolate powders sold, usually have way too much processed sugar added to my liking. Not to mention the emulsifiers, palm fat, thickeners, anti-cake agents, flavours and stabilisers that you wouldn’t dream of adding yourself if you had the choice. I also don’t like the fillers like dried milk powder added that you can replace with fresh milk. The actual amount of cocoa powder in one of the hot chocolate powders I checked is a shocking 13% only! Not only does homemade cocoa milk taste better, it better for you and you can control how much sweetener you wish to add! 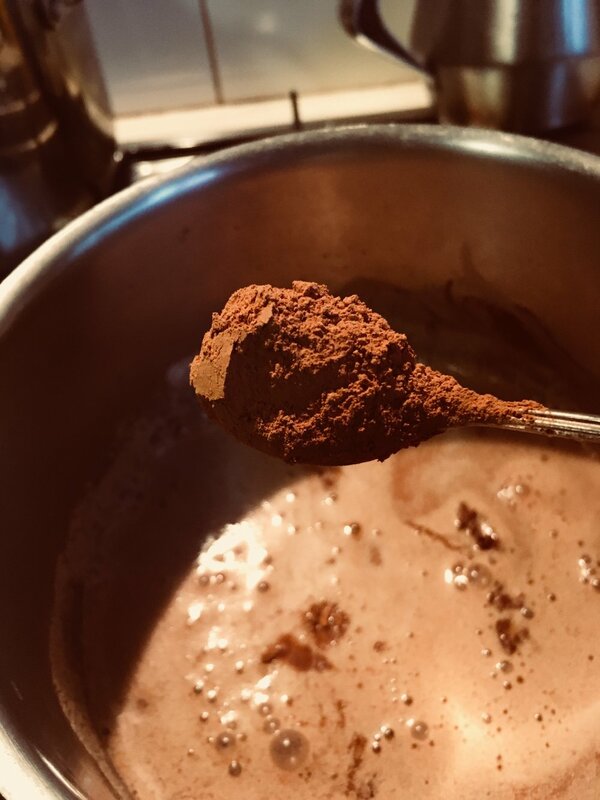 Real, pure, ground roasted cocoa beans in powder form, that you'll rather find in the baking section of the shop, contains minerals like iron, magnesium and zinc and also contains anti-oxidants. For those still suffering from the winter blues, there’s evidence that cocoa powder can act as antidepressant. Just smelling chocolate makes my blues subside. It’s easy: Heat your milk/mylk of choice, add one teaspoon of cocoa powder per large cup of milk and your favourite sweetener of choice. I choose local honey. Jul 4 Best gluten free brownies!